See what I did there? Two of my fave cartoon cuties team up in this adore-able picture. 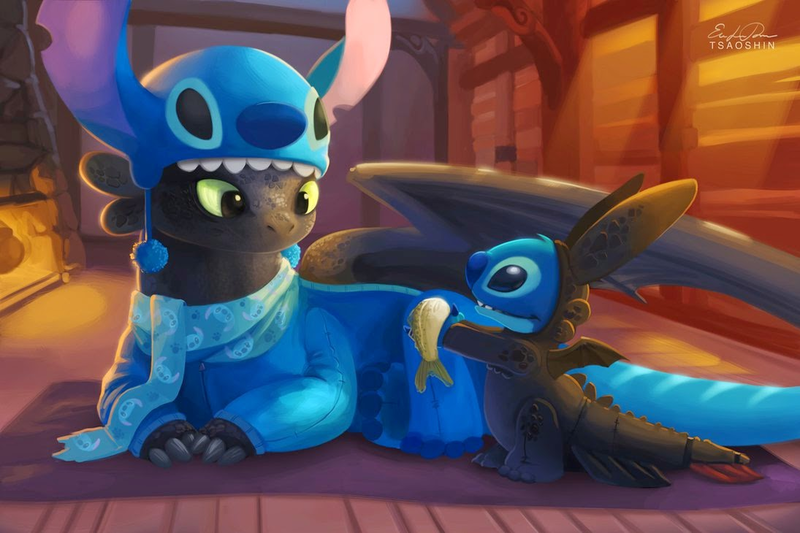 Stitch and Toothless have a sleepover wearing each other; Toothless as Stitch, Stitch as Toothless. Arrgrghh!! !